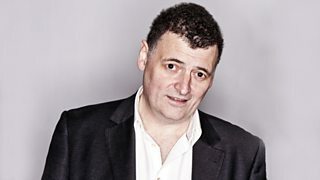 Doctor Who’s lead writer and executive producer, Steven Moffat, recently appeared at the Hay Festival and discussed the new series and how Peter Capaldi became the Doctor. You can find out more in this clip from his fascinating interview. The new Doctor lands on BBC One in August, 2014 and you can watch the latest ‘teaser trailer’ now! All the latest news and features from the world of Doctor Who. See the behind-the-scenes videos, interviews, clips and other goodies!